Float, fly, and find Good Green Fun™ no matter how you travel! The Green Toys™ Seaplane is ready for earth-friendly excitement in the sky or out at sea. 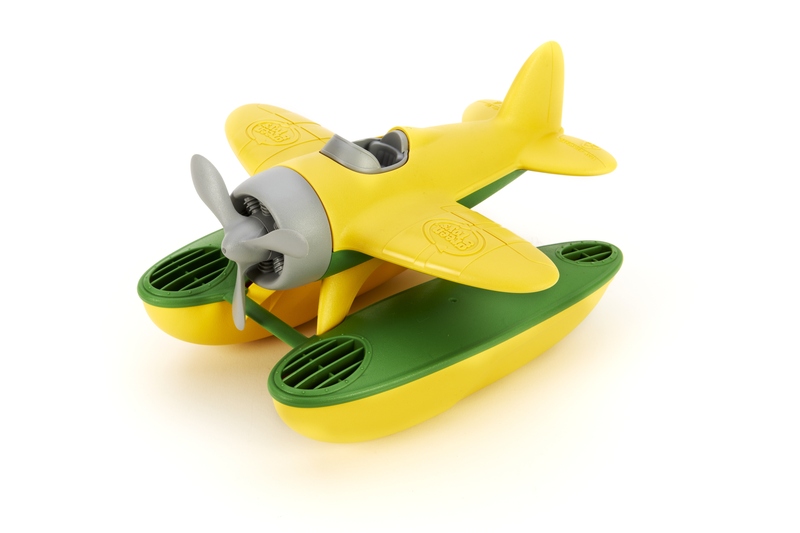 Made in the USA from 100% recycled plastic milk jugs that save energy and reduce greenhouse gas emissions, this buoyant yellow and green floatplane features a spinning propeller and chunky, oversized pontoons perfect for coasting into any port. Specially designed to float when taken into the bathtub or pool, young captains can easily navigate from water to air and back again. No BPA, phthalates, PVC or external coatings, and also meets FDA food contact standards. Dishwasher safe for easy cleaning. Packaged with recycled and recyclable materials and printed with soy inks. Dimensions: 9"L x 9"W x 5"H.